Wagrain is one of several ski resorts centred around the cathedral town of St Johann im Pongau, less than an hour from Salzburg. 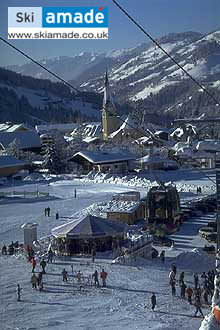 The ski region of Wagrain is located in the very heart of "Ski amadéSki amadé". Ski amadé is with 270 cable cars and 860 kilometres of ski-runs, Austria's largest skiing network. 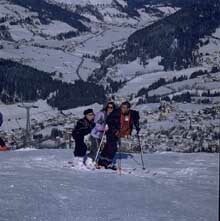 Modern cable cars and chair lifts, a diverse offer of trails und our Kids-Ski-World make our ski region very popular. The ample slopes of Grafenberg – direction St. Johann – and Grießkareck as well as the Wagrainer Höhe – direction Flachau – invite you to enjoy an unforgettable skiing adventure. Wagrain's motto says "Non-stop straight to the top". Our cable cars take you from the car park directly to the top without time-consuming changes or the need to queue up again. all covered by one lift ticket, but not all are directly linked.